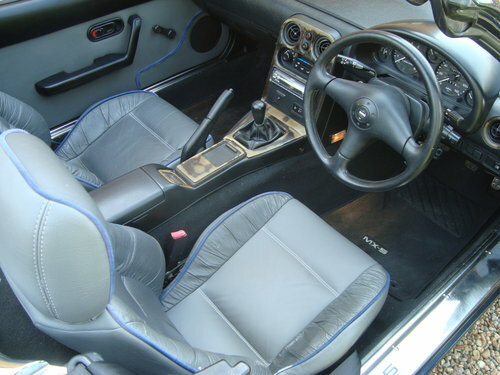 Mazda MX5 Mk1 1.8i Dakar,1997.Twilight blue, grey leather seats.Limited edition number 177 out of 400.Features include power steering and alloy wheels. 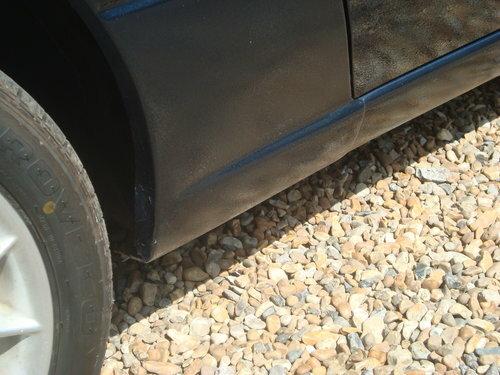 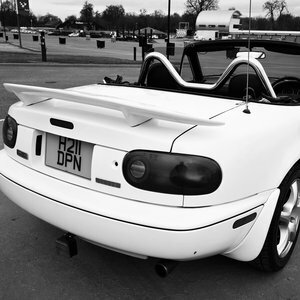 MOT March 2019.This MX5 to be sold needing some work:- All the suspension arms were advised on the MOT.The offside rear wing and sill have been replaced in 2014, there is now some micro blistering on the wing and some corrosion showing. 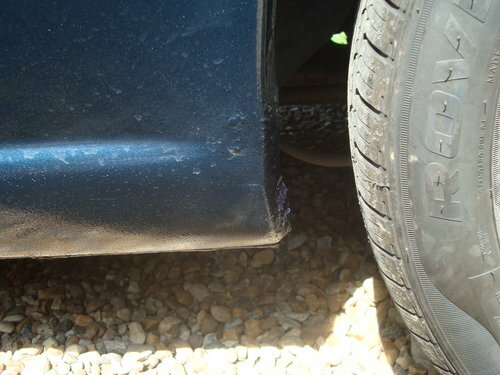 The nearside sill has been done before, some corrosion showing.The front bumper has scratches.The drivers seat squab has been reupholstered, there is a small hole in the rear bolster.The wood work has laquer lifting. 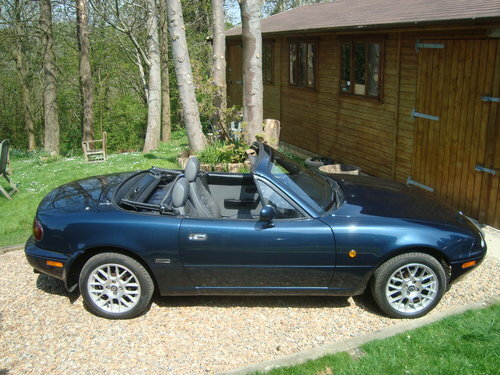 4 new tyres recently fitted.New soft top 4 years ago.MOT's from 2000, only 2001 missing.Some service history. 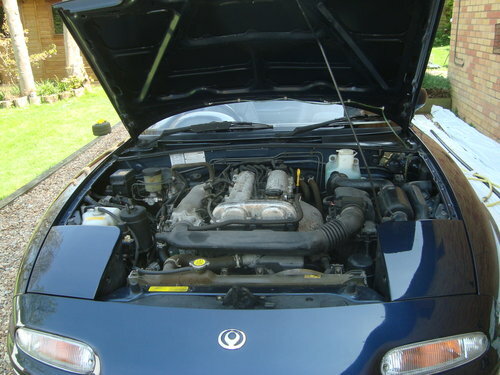 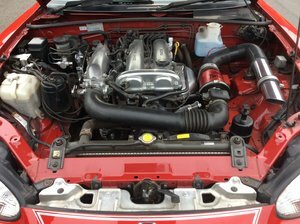 This MX5 has been recently serviced, oil,oil filter, air filter, fuel filter and spark plugs has been replaced.MOT March 2019.This MX5 drives well.We are situated in Peacehaven 8 miles east of Brighton on the south coast. 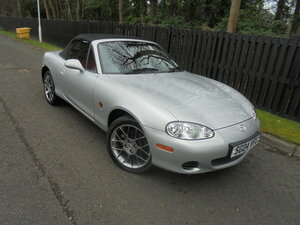 http://www.sportingcars.co.uk To make an appointment to view call Simon on 01273 582885 or 07855 428669.